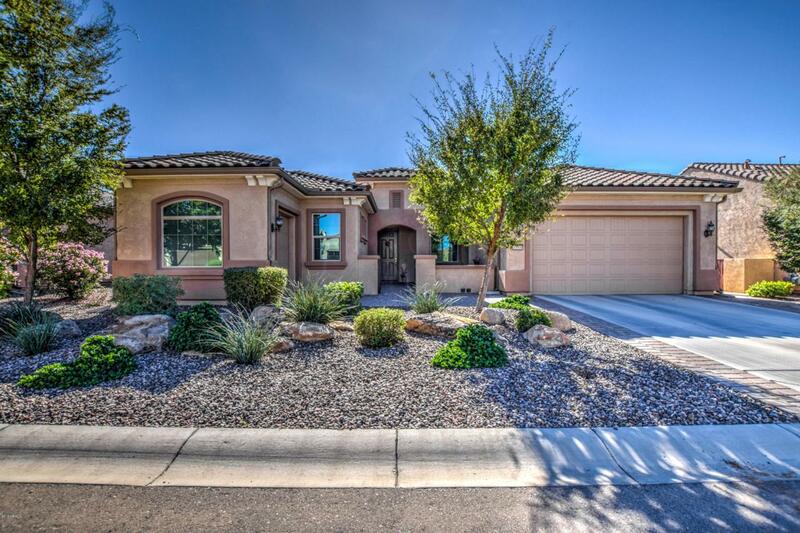 Amazing home w/upgrades & 2 master suites. Enter with a beautiful paver courtyard! 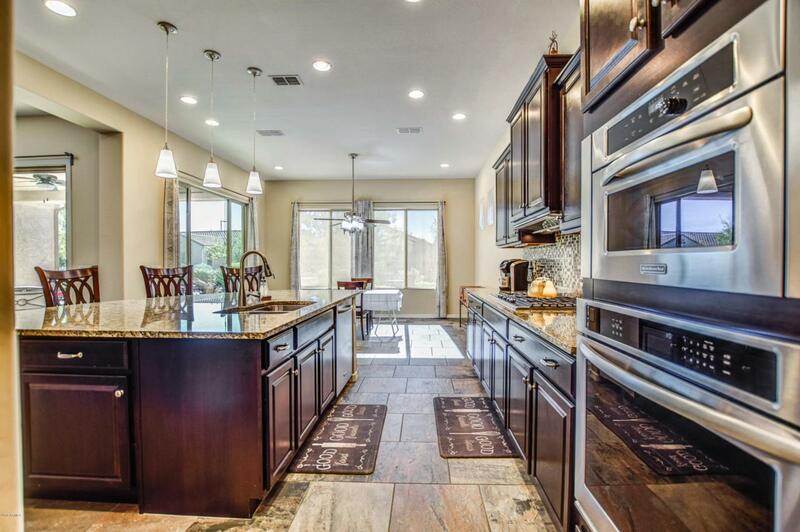 Huge kitchen has gas cooktop, upgraded Kitchenaid stainless appliances, staggered espresso cabinets w/crown, mosaic backsplash, RO, walk in pantry, massive island w/seating & dining area. 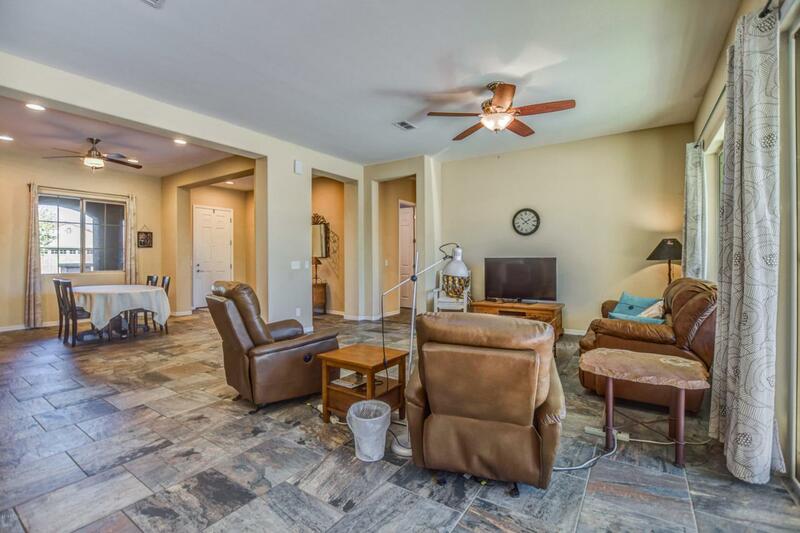 Master suite has large walk in closet, bath w/espresso cabinets, marble counters, walk in shower, separate garden tub, linen closet, two vanities & makeup vanity & private toilet room. There is an ensuite guest room w/espresso cabinets & granitex shower in the bath. Laundry room has lots of storage w/built in cabinets & sink w/countertop. 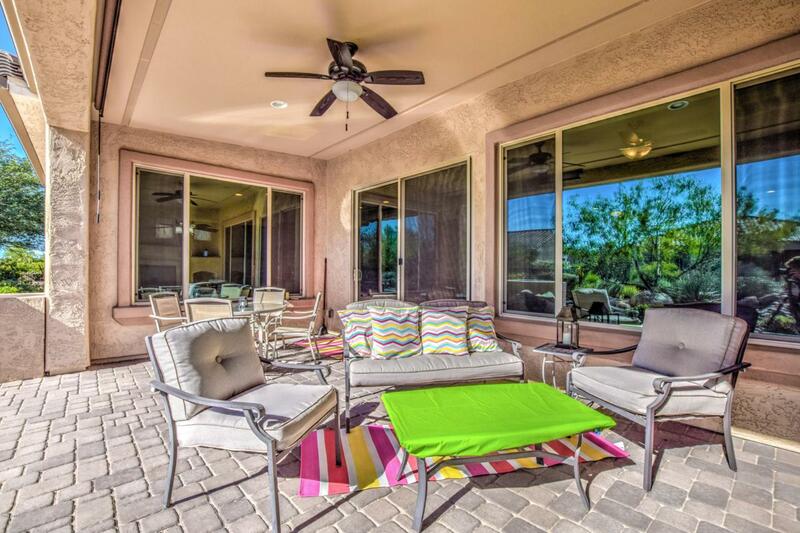 Relax on the rear covered patio year round & enjoy the fireplace, water feature & built in gas BBQ w/countertop. Home also has water softener, RO, & tankless gas water heater.